CERN, the European Organization for Nuclear Research, is one of the largest and most important research centres worldwide. CERN's main function is research on the fundamentals of Physics, the origins of the Universe and what it exactly contains. Here, the largest and most complex scientific instruments are used to examine particles, which matter consists of, and study laws of Physics via particle collision experiments. The range of deployed instruments mainly consists of particle accelerators and locators. In the first case, particle rays are accelerated before colliding with each other or with stationary 'targets', while locators observe and measure the results of these collisions. 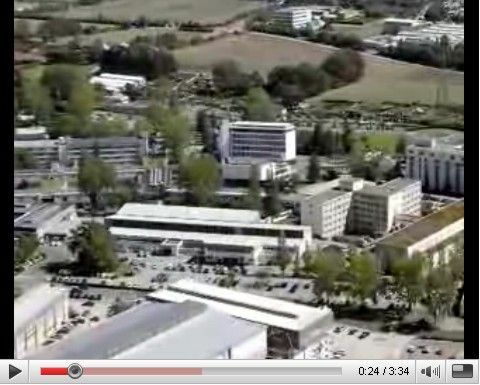 CERN was founded in 1954 and resides close to Geneva, in the Franco-Swiss border. It is one of the first Pan-European research efforts, in which twenty European countries participate actively, accompanied by UNESCO and the EU as 'observers'.